The Patravi ChronoDate proves that practical values certainly can be aesthetically pleasing. The Patravi ChronoDate proves that practical values certainly can be aesthetically pleasing. With the framed big date in the double window below 12 o’clock, the date – an everyday necessity – can be read even more quickly and easily. 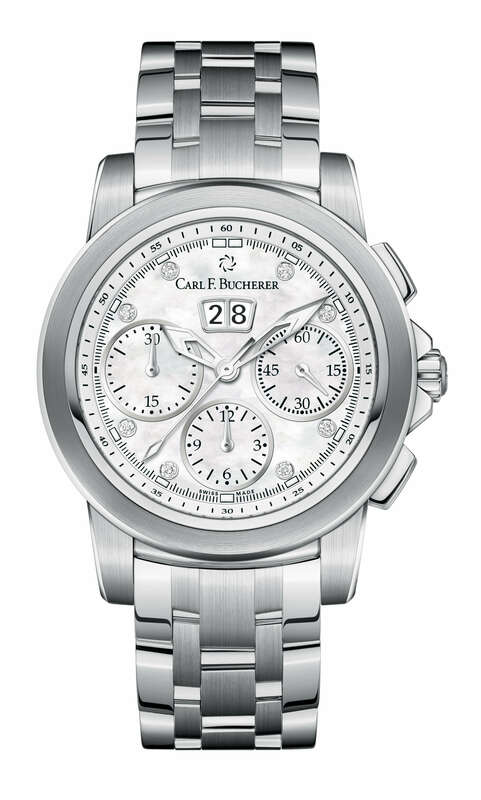 Carl F. Bucherer is making a reference here to a form of date indication that has been used for decades by the company. Together with the lighter colored chrono graph functions at 3, 6 and 9 o’clock, the functions are arranged with a pleasing symmetry and contribute to the perfect legibility of the dial.